If you have made the investment of installing hardwood floors in your home it's so important to protect that investment. Today I am happy to be publishing this guest post by Guy of Hardwoodbargains.com who is sharing some great tips to help you protect your investment during the holidays! With the holiday season just around the corner, your focus is probably on the delicious food to prepare, gifts to wrap, and decorations to hang. However, you will also want to dedicate some time to ensure your hardwood floors are well protected to welcome friends and family who will join in the celebration and create memories to cherish from years to come. 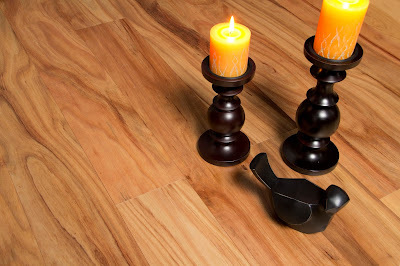 Hardwood floors can easily be scratched, scuffed, or damaged by various elements. 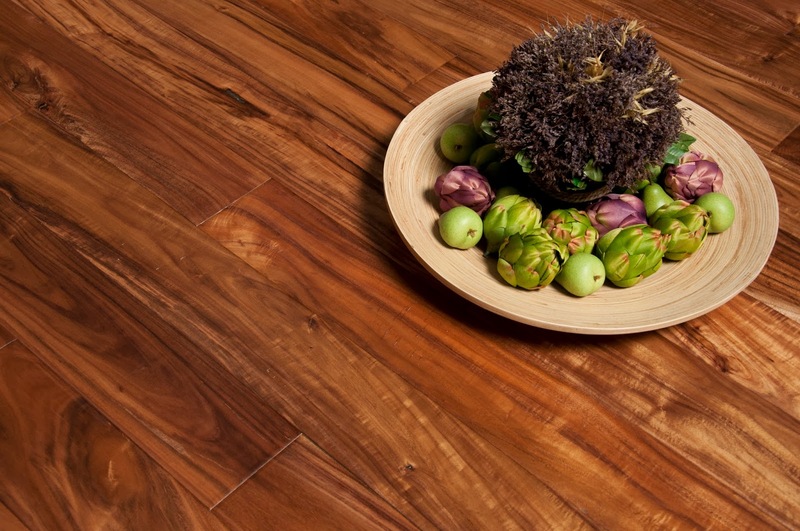 By following a few simple steps, your wood floors will be high-traffic ready and you will have peace of mind. One of the easiest ways to protect your floors is to lay down rugs in the areas in which you believe you will have the most traffic. This includes entryways, hallways, and whatever room will handle the most people. If you choose to have a rug in your entryway, pick one that will be large enough to accommodate your guests’ shoes. Although this may be difficult to do, you should politely request that your guests remove their shoes. With dozens of guests around your home, you can end up with scratches and dents from stilettos and things that get stuck underneath shoes such as snow, salt, dirt, or even worse, gum. Some guests may not appreciate you enforcing a no shoe policy but you have to remember that this is your home and your floors that need to be protected. After all, hardwood floors are expensive and most people will understand that you want to minimize any potential damage. Another element that may damage your floors is any type of excessive liquid. Upon arrival, you can gently remind your guests to make you aware of any spills. This way, you will be able to attend to it immediately and wipe it properly with a damp cloth. If water sits on your hardwood floors for an extended period, it may cause dark spots or warping of the wood due to excess moisture. If not already done, you can add furniture leg pads to your chairs, sofas, and tables. With many people in your home, furniture is bound to be moved and pushed around. This will prevent scratches, which inevitably happen when furniture slides along hardwood. Once the festivities are over, you should clean your floors using a dry mop or a vacuum cleaner with a floor-brush attachment. This will pick up dust and dirt that could be a potential hazard. For a thorough cleaning solution, you may use a product specifically designed to clean hardwood floors. These typically need to be diluted in water so make sure you follow directions accordingly. Wood-cleaning products are best applied using a damp sponge or mop. If you find the humidity level in your home is high, turn on ceiling fans and open windows to help speed up the drying process. The holiday period should be a time of joy spent with loved ones, not one where you have to worry about the condition of your hardwood floors. By implementing a few preventative measures, you will be able to embrace the holiday spirit with one less worry. Author Bio: Guy Ventimiglia is the Sales Manager for Hardwoodbargains.com. With over 23 years’ experience in the flooring industry, Guy is an expert in all types of wood flooring. When he isn’t working at Hardwoodbargains.com, he is spending time with his loved ones, skiing in the mountains. Thanks Guy for the great tips that I hope my readers find very helpful during the upcoming holiday season. I know I will be politely asking my guests to remove their shoes at the door!